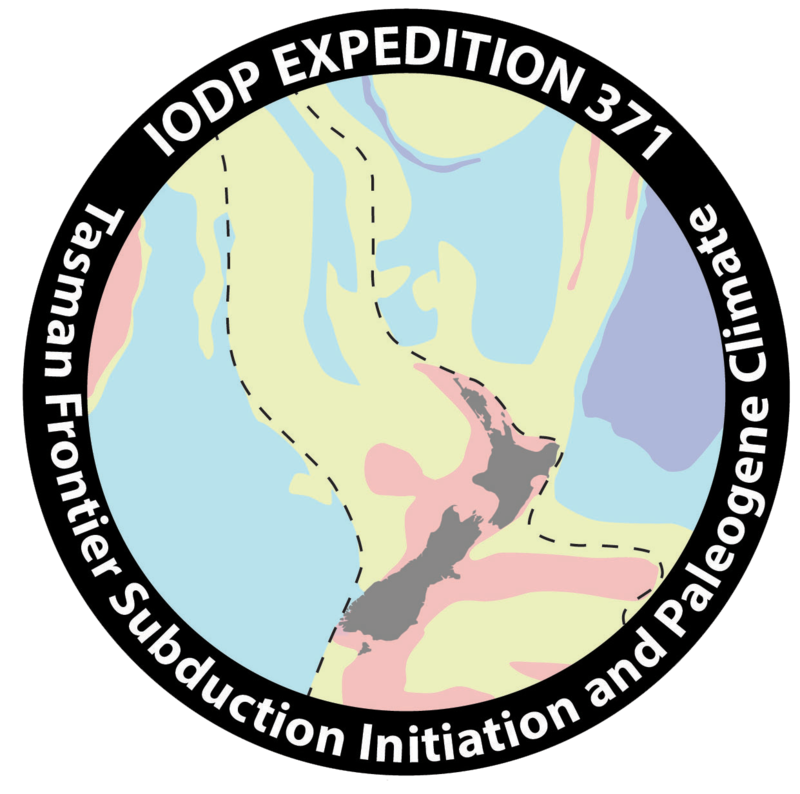 Expedition 371 -Tasman Frontier Subduction Initiation and Paleogene Climate. The aim of the Expedition 371 research is to improve the understanding of the role of plate tectonics in global climate evolution over the past 60 million years. 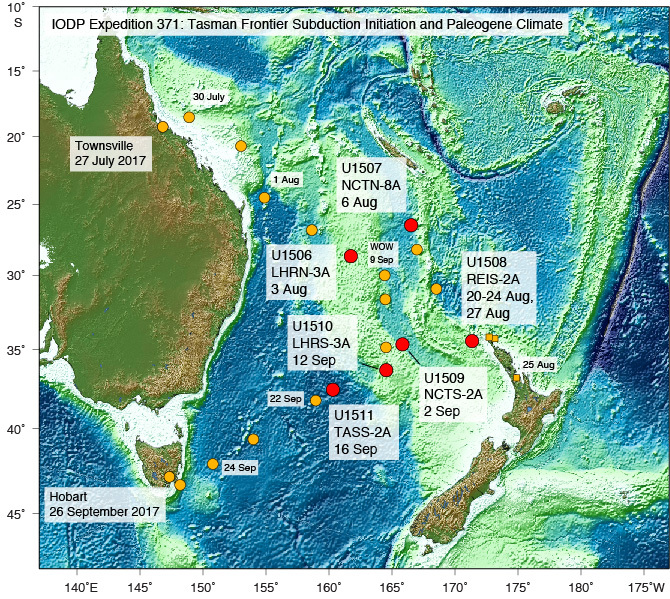 To achieve this the expedition will primarily focus on obtaining a precise date and the quantification of the uplift/subsidence associated with the Tonga-Kermadec subduction initiation, which will allow the testing of alternate geodynamic models. It is thought that this tectonic event may have coincided with the maximum “greenhouse” climate of the Cenozoic era. A secondary focus will be to determine if paleogeographic changes caused by the subduction initiation may have led to inconsistent regional warmth by altering ocean circulation. This would provide an explanation for the differences obtained with computer climate model simulations. The data needed to answer these key objectives will be obtained from the analysis of sediment cores recovered from drilling the ocean floor along the line of the subduction trench. The range of analyses will include recording the composition, microfossil components, mineral and water chemistry, and physical properties of the sediments. The presence of thick carbonate rich Neogene strata also make this area a good location for obtaining detailed paleo-oceanographic records from the Miocene through to the Pleistocene, which can be linked to previous ocean drilling expeditions in the region. Leaders in Geoscience: "Women who rock on the JR"
The "Unsung Hero's" of the JR.
Adriane Lam: The tool I can’t live without and use daily? A paintbrush. Reddit AMA session on Sept 1 at 5pm-7pm EST. "Hidden Continent Zealandia"
I have the best job on the ship!! Pekar’s Blog August 2nd: Why did I become a scientist? Pekar's July 30th Blog: Leaving Australia and heading to explore Zealandia!!! Exp 371: Sets sail to the Tasman Sea Frontier.